We’re once again welcoming the brightest games user research and games UX talent to share their learnings in London. Held in the lavish Cavendish Conference Centre, this not-for-profit biannual event hosts around 200 game development professionals, for talks on topics of player data and player research. This year the conference team is delighted to welcome talks on UX strategy and research plan development from UX leadership at Warner and Scopely, sessions on insightful game analytics from Miniclip and Ubisoft Paris, alongside sessions on UX culture and process from King and Travian Games and project case studies from Reach Robotics and Activision’s forthcoming Sekiro: Shadows Die Twice. All timings may be subject to minor change without notice. Please join us in London on 30th November! Conference tickets are available now. 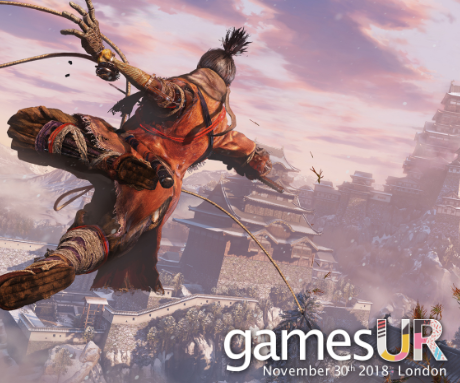 Researcher Michele Cabeen shares the still-unfolding story of user research on Sekiro: Shadows Die Twice, the newest title from the developers of Dark Souls and Bloodborne. Michele shares lessons on research planning, cultural barriers, dealing with difficulty, and much more. What does UX do for games? Matt presents compelling data that connects Scopley’s user research contributions and their financial outcomes. 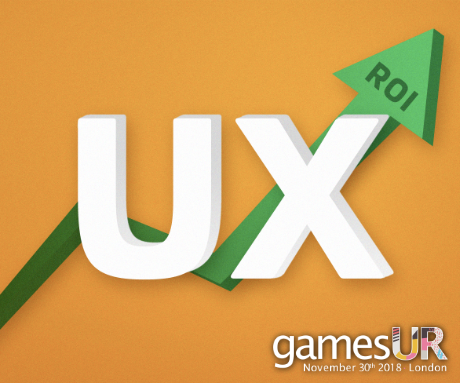 Sharing learnings from Scopely’s UX strategy, company structure and research approaches, this is a must-see session on the business of games user research. Twenty million players daily. 1.7 million data points per minute. 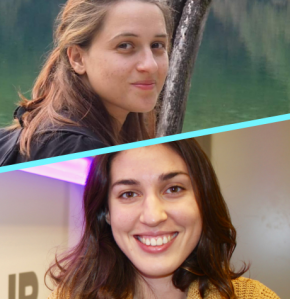 Miniclip’s expert Data Analysts Inês Santa Ana and Daniela Cunha explore their player data-centric contributions to Miniclip’s successes, with case studies spanning free-to-play, retention and onboarding design. Player data has been a core pillar of Ghost Recon: WIldlands’ development and continued ‘live ops’ success. Ubisoft’s massive open-world blockbuster merged in-game telemetry and player feedback throughout development. Learn more from Analytics Project Manager Yossef. Carmen helped to start the UX revolution at King. In her own words, hear how Carmen collaborated with her Diamond Diaries team; from having no formal UX processes, to being true user-centred Designers, using tools, frameworks, workshops, and her passion for player-centred design in gamedev. Reach Robotics’ futuristic MechaMon project is an incredible feat of UX. Kieron shares lessons from the cutting-edge of HCI: augmented reality testing, robot/human interaction, testing hybrid physical and virtual interfaces, and tips for player research with gaming hardware throughout R&D. Workshop sessions foster collaboration, trust, and cross-disciplinary working. 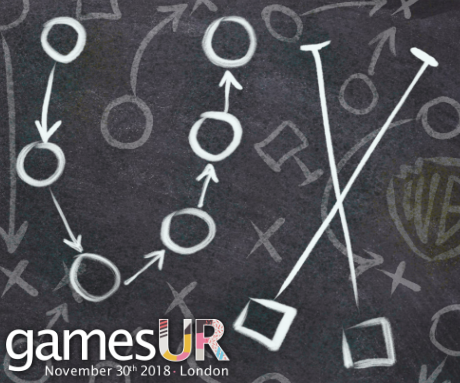 Steven Mathiesen shares Travian Games’ formalised workshop processes, and how their use throughout the business has raised game quality, and allowed UX processes to get involved at the earliest points in development. Senior Manager, User Research at Warner Bros. Interactive Entertainment Inc.
We know we want UX, but where do we start? 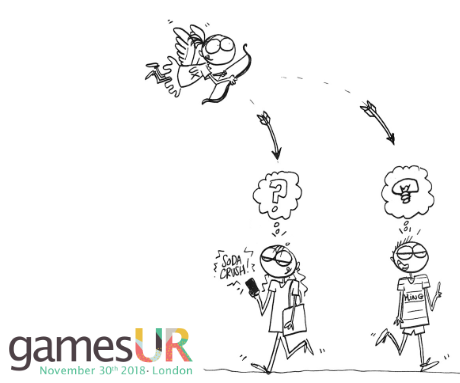 Warner Senior Manager and gamesUR veteran Jonathan Dankoff outlines his step-by-step approach to the design, budgeting, scheduling and documenting of a complete games user research strategy and budget. Don't delay! Purchase your GamesUR Conference ticket today. Strictly limited availability. Conducting research on a game like Sekiro: Shadows Die Twice presents a variety of challenges – a high skill requirement, longer lead time for understanding the game’s mechanics, a developer behind language and timezone barriers, and more. How does a research team tackle a project of this weight? How does a team approach bringing in and finding participants to test a game that people aren’t expecting your company to make? How does a Western research team approach partnering with an Eastern developer with a rabid fanbase? How does a research team keep the DNA of a developer, while testing their intent to explore something different? This talk will look at the Activision user research team’s approach to these unique challenges, from the initial schedule planning, to how that plan evolved once testing was underway, and finally some examples of changes made to the game since testing began. 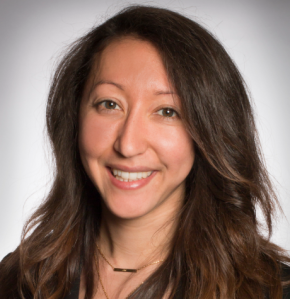 Michele Cabeen is a User Researcher at Activision leading research for mobile and console titles, including new IPs and products, such as Sekiro: Shadows Die Twice and Amazon Alexa skills. She first played Skylanders at a New Year’s Eve party while she was in college. Little did she know she’d end up leading research for that same franchise years later before working on Call of Duty Online for China, Guitar Hero Live, and other AAA titles. Her work also continues outside of the lab at trade shows where she’s represented numerous titles and interacts with consumers for some boots on the ground feedback. This talk will present data that Matt and his Scopely team have collected that connects user research and the financial outcomes that companies need to drive. Beginning with an exploration of UX Strategy at Scopely, and how that’s allowed them to effect large changes in their games, the session will cover the team’s biggest challenge: winning the fight of whether or not the issues we highlight are worth fixing. Matt will dive through examples of players’ early experience, where they’ve affected differences in retention, conversion, continued spend, and engagement that are directly related to the quality of the experience that players report (as well as how usability issues connect to that report). From there the session will cover later-game using random player sampling, and how fixing certain usability issues can result in inflection points in revenue. This talk primarily focuses on Free to Play, but will provide attendees core takeaways that can be used to argue for addressing UX-related issues and growing their teams, and the logic to perform similar value calculations at their own companies. From a background in Computer Science and Psychology, Matt entered the games industry in 2008 after receiving his PhD. Since then he has worked for 4 games publishers and taught at the Guildhall. Over the last 2.5 years, Matt has been leading the user research team at Scopely, leading developers and publishers of mobile games. This has provided many opportunities to combine the typically small-sample data of user research with the big data of a live game, and to evaluate how UX-driven changes have impacted both the audience and the business of the games. With more than 20M people playing our games daily and over 1.7M events entering our database every minute, Miniclip is a truly data driven company. The Business Intelligence team is able to use that data to support decision-making and provide a personalized experience along all the different stages of the players lifecycle. Throughout our presentation we will provide concrete examples on how to take advantage of quantitative research to enhance the frequency in which players return to the game (retention), how to make them more engaged with it (engagement), and how to incentivise them to spend their money (monetization) and to diffuse our games among their friends (virality). The strategies presented to promote these behaviours are, among others, A/B testing, behavioural analysis, simulations and player segmentation. Inês Santa Ana is a Data Analyst at Miniclip, a global leading company in digital games. She is responsible for the collection and analysis of data from several Miniclip mobile titles, such as Football Strike, Soccer Stars, Basketball Stars, and Golf Battle. 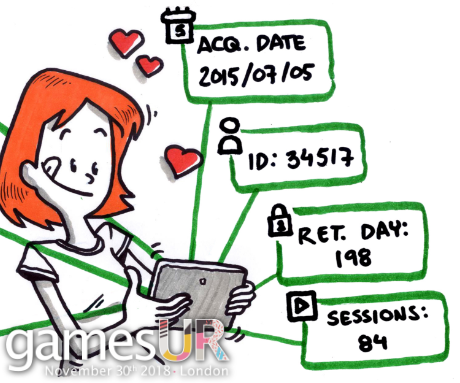 In her role, she focuses on the gameplay and user behaviour, by performing exploratory, predictive and prescriptive analysis as well as running A/B test experiments. 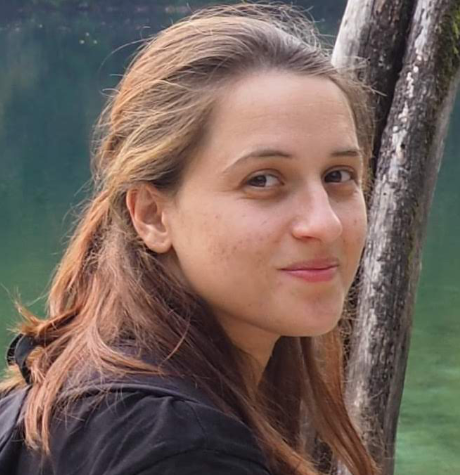 Before joining Miniclip, Ines was conducting neuropsychological research focused on attention shifting, inhibitory control, and decision-making within social dilemmas. 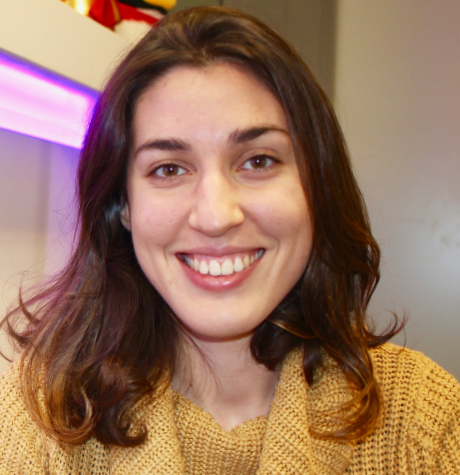 Daniela Cunha is the data analyst assigned to 8 Ball Pool, Miniclip’s biggest title. She takes care of the collection of data on over 10 million DAU, performing analysis to inform decision making in all the steps of the product’s design and development. Her focus is mostly on testing new features and the investigation of player engagement with them. She also does player behavioural studies and simulations to prescribe the best course of action in the design of future features. Formerly she studied Anthropology and performed research in the field of Human Biology and Evolution. 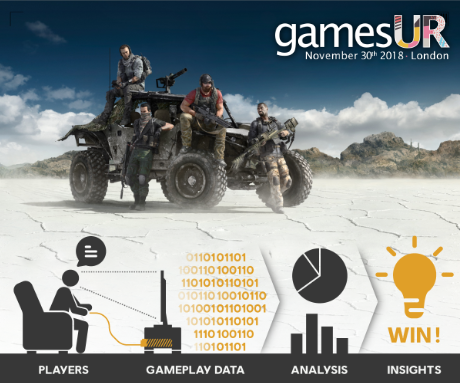 From our first playable build to a successful live game, you will discover how game analytics became a key pillar of Tom Clancy’s Ghost Recon Wildlands. 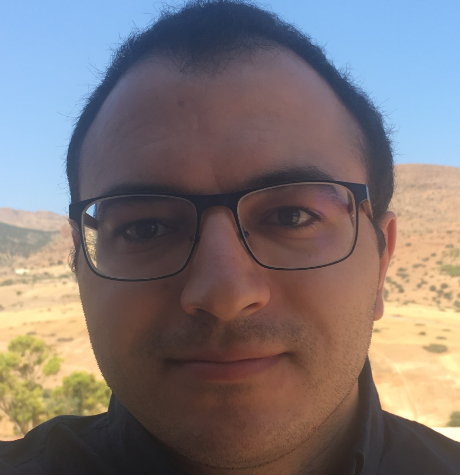 Yossef Benzeghadi, Game Analytics Project Manager & Lead Data Analyst on Ghost Recon from Ubisoft Paris, will share concrete analytics success stories. This talk outline how telemetry data allowed us to better understand our players and leverage actionable insights into the game. Yossef will also give you a glimpse of analytics-driven features directly present in the game. Ghost Recon: Wildlands celebrated 10 million players in its first year. Ubisoft Paris’ massive open-world is now in the middle of its Year 2 of content, with regular major free updates. Yossef Benzeghadi has worked as Game Data Analyst at Ubisoft since 2015. He successfully led game analytics on multiple AAA projects worldwide, including The Crew and Tom Clancy’s The Division. He is currently in charge of everything about analytics on Tom Clancy’s Ghost Recon Wildlands at Ubisoft Paris. Thanks to innovative game analytics strategies and thorough data analysis, he delivers impactful and actionable insights to various stakeholders, from Game Designers and Producers up to the company’s Top Management. Yossef plays a key role in the Ghost Recon Wildlands development team and often contributes to Game Design & Live Operations decisions. He also acts as the product owner of several analytics-driven game features, trying to push the boundaries of game analytics further. Connect with Yossef on LinkedIn. In a lot of game companies, UX is still a new and unknown area. Carmen joined King, the company behind Candy Crush, 2 years ago. She will share her journey from starting in a company where UX was unknown and full of misconceptions, to release a new game called Diamond Diaries that has ended introducing Player-Centered Design in their process. Through a series of detailed case studies, she will share techniques, examples and tools that they used to change the team way of working and the direction of the game and, of course, the learnings that she gathered in this journey. The talk is of interest to anyone who wants to push UX in their companies, or is starting in a new team that is not used to working with UX Designers. 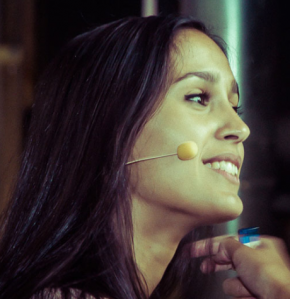 Carmen Hevia is Senior UX Designer at King, the makers of Candy Crush. She is a psychologist whose main priority is understanding player behaviour and applying her knowledge of video games. She has experience leading teams to put players at the centre of a game development process. Outside King, she loves teaching how to apply psychology in UX and CRO in several Masters and courses. This talk shares lessons on conducting user research with gaming robots. Kieron Kirkland is product researcher at Reach Robotics; their product, MekaMon, is the world’s first true gaming robot. 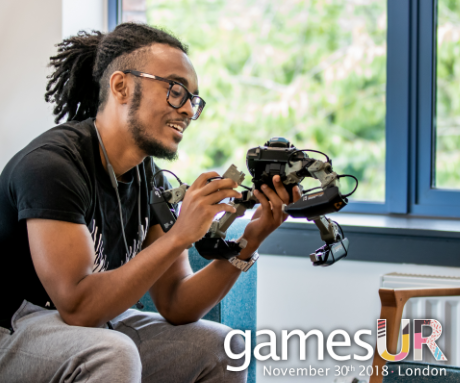 Kieron will share lessons from conducting user research with MekaMon, including overcoming the challenges of testing gaming devices that balance physical and virtual interfaces, sharing lessons on the practical and logistical difficulties of testing these type of experiences. There are myriad challenges working with long iteration cycles; hardware needs to be designed months ahead to account for production times. Keiron will explore some of Reach Robotics’ approaches to offering insight to hardware teams during the development process. As a third challenge: investigating character interactions with robotics including insights gained into how people see and interact with gaming robots. Finally, the role of usability principles, and how they can help steer User Researchers when conducting user research with novel and new interfaces. Kieron leads user research at Reach Robotics. Their product, MekaMon, is a real life battle-bot with next-gen augmented reality gameplay. Previous to this, he was a Lead User Researcher for the Government Digital Service (GDS), where he led a team of researchers developing the UK Government’s Data Infrastructure. He was also a founding Director at CAST, a social change agency dedicated to supporting charities and nonprofits to use technology more effectively. 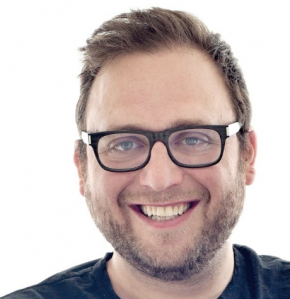 While there he developed and delivered Fuse, the world’s only technology accelerator for non-profits. He’s conducted research everywhere from the High Arctic to rural India, worked for 10 years as professional magician, and is a retired street clown. The UX discipline can act as a bridge between Development Teams and Marketing, Art and Game Design, as well as other siloed disciplines in an organization. UX workshops have been an effective tool for such collaboration over the past year at Travian Games. This talk describes the different kinds of workshops we have run ranging from conceptualizing the First Time User Experience to Name Finding performed on behalf of the Marketing team. 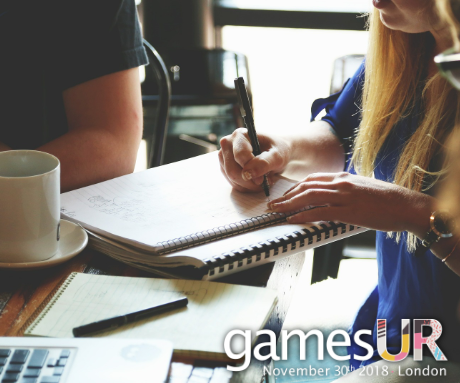 Different workshop activities and techniques will be presented with explanations about how they promote trust, raise game quality, build consensus among stakeholders, and get UX involved at the earliest points of game development. Listeners should takeaway how workshops can place UX in the center of the action and have a good idea how they might be implemented in their organization. Steven is a psychologist with fifteen years of experience working in the Games UX field as a researcher, designer, and manager. He is currently the Head of User Experience at Travian Games GmbH, a mid-sized gaming company with 200+ employees based in Munich, Germany. 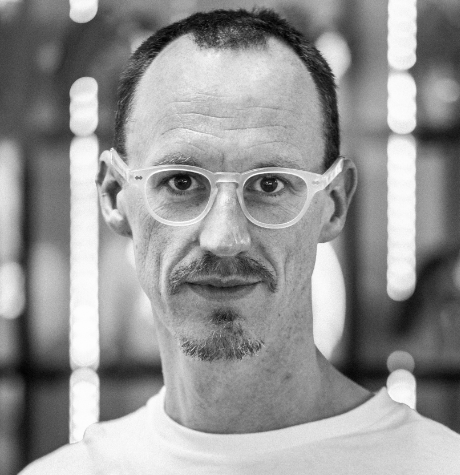 There, he leads a team of eight design professionals who provide the company with interaction design, interface design, game design, and design research. 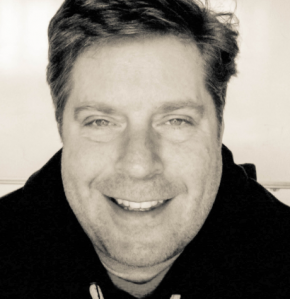 Over the last few years, his focus has been on how to integrate the UX discipline more deeply into the organization, using psychology not only to help connect players to the game teams but also to break down organizational silos within the company. This presentation will walk attendees through a process for creating a strategic user research plan and accompanying budget documentation as part of a full lifecycle partnership with a development team. While game development is always very fast moving and constantly evolving, having a robust strategy can help navigate difficult decisions, and de-risk the development process. The idea is to set out with a strong but flexible strategy that is obviously always subject to change, but helpful in your decision making and resource planning. Failing to plan is planning to fail. Attendees will learn the thought process and methods behind creating all of this documentation, and also be given access to the templates so that they can apply this to their own upcoming projects. 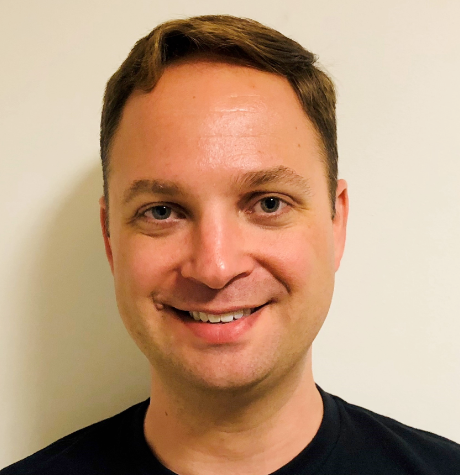 Jonathan Dankoff is the Senior Manager of User Research at Warner Bros. Interactive Entertainment Inc, leading the research group and working on a wide variety of interesting projects with a fantastic team. Jonathan is a passionate games user researcher with over 12 years of experience on 20+ games ranging from huge AAA titles to educational children’s games and everything in-between. He has developed many new methods to better understand and improve the player experience, and been privileged to be a part of exciting new endeavours in UX research.